Join this 1.5 hour traditional Japanese tea ceremony experience to try your hand at making matcha green tea and savor it with delicious wagashi sweets. 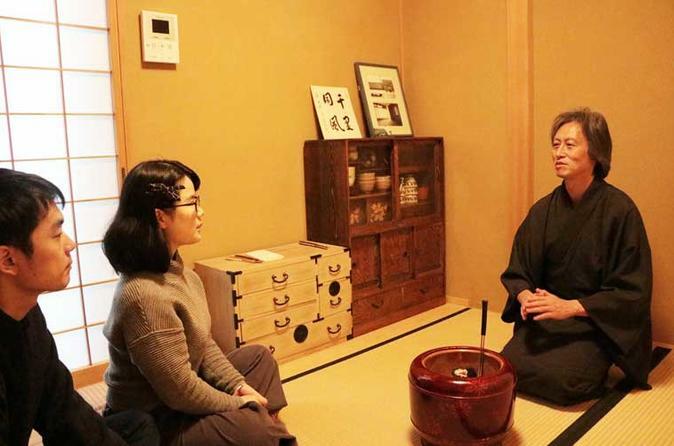 Learn the history and etiquette of tea ceremony in depth from a friendly instructor who is fluent in English. If you are looking to take time to appreciate the beauty of Japanese culture in a private, relaxed atmosphere, this is a perfect experience for you. 6. Your experience comes to an end.